A great man who had stirred entire West Bengal and made a place for himself in the hearts of men and women as a Hero in the era of 1950s and 60s and 70s is no more alive but his memories have not faded since 33 years have passed by since his demise in the year 1980 on 24th July. 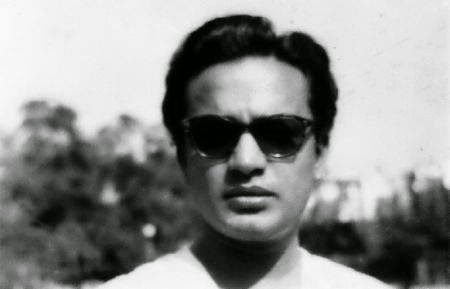 A versatile actor and a man of great genius was popularly and lovingly known as Uttam Kumar to all and sundry. I have seen him in real on television and he looks so much real that it does not seem that he is acting. He is like our Guru. His movies have kept him alive not only in our thoughts but make us believe that he is still there...Yesterday was his "Mahaproyan Diwas". The entire afternoon was spent searching for a single movie of his on television but much to my dismay there was not one which was aired between 3 pm to 6pm. Finally, the news channels made me very very happy when they aired some very special moments where some great people were remembering the "Mahanayok". Some popular Bengali songs from his 60's movies came on a local channel and finally there was an old movie,"Shapmochan" which was telecast at night and all these made my day.